This is a square Gulf Motor Fuel porcelain sign. This particular Gulf Motor Fuel sign is white with navy print. 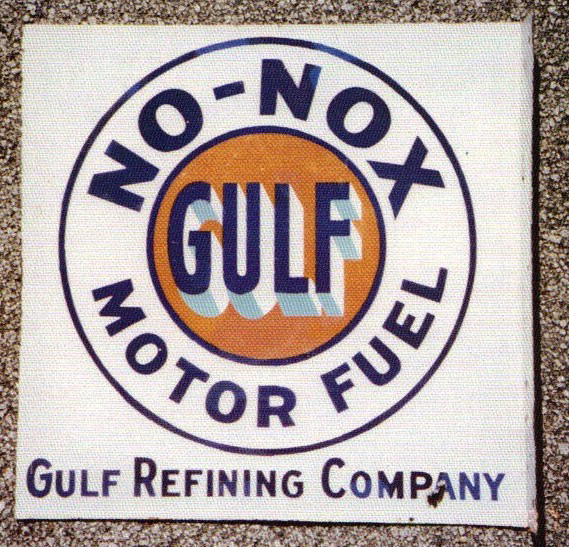 It reads, “Gulf No-Nox Motor Fuel, Gulf Refining Company” and features an orange center.